Eric J. Garcia is a political cartoonist. Ten years ago Eric J. Garcia began creating satirical drawings while serving in the U.S. Air Force. At first he created these cartoons to make fun of his buddies and to relieve the monotony on post, but soon he began to venture out into more serious subject matter like critiquing the military itself. 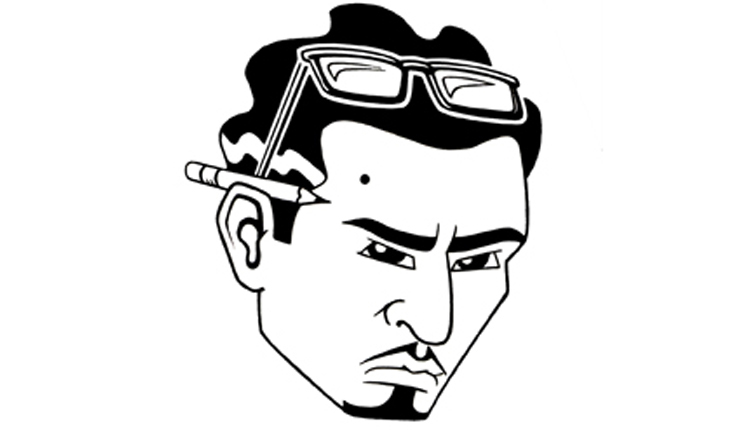 Completed his MFA from the School of the Art Institute of Chicago, Garcia has won numerous awards to include, First Place College Cartoonist Award for both the New Mexico and Illinois College Associated Press competition. Published nationally and internationally, Garcia can be seen in various publications and online news networks such as In These Times, Hoy News Paper, and Pocho.com. With the help of his usual cast of iconic characters, Uncle Sam, Lady Liberty and the infamous Fat Cat, his cartoons are sharp critiques of our society’s complex past and our society’s confusing present. See more of Garcia’s work at ericjgarcia.com.